Onit Interactive specializes in website development across many platforms including: WordPress, Joomla, Drupal, Magento, HTML5, CSS3, PHP, ASP.NET and more. While dynamic graphics create the look, feel and branding of your website, the behind-the-scenes programming provides the usability and function to give your customers the information they need quickly and easily. The use of Internet technology can greatly benefit your website by offering you a multitude of functions. Modern websites use a variety of features including dynamic content, membership databases, interactive forums, input forms, content management systems and more to stay current with the latest trends. Our developments will help you establish the goals of your website, the audience you want to target and how your website will be maintained. Onit Interactive offers a full suite of website development solutions. We specialize in website development for content management systems (CMS) including WordPress, Joomla, Drupal, Magento, develop database driven websites, build custom applications (App’s for Google, Android Store, Apple Store). We determine how search engines (SEO) will play a role in your business and how to use both static and dynamic pages to keep your visitors coming back and get you to the top of the search engine (SEO) list. The two main types of web pages used in creating sites are static pages and dynamic pages. Static, or “flat” pages are web pages that can be displayed without server-side processing and are comprised of HTML code with an HTML extension. Although these pages are not able to provide a flexible user experience, they still provide advantages including faster loading times, the ability to be indexed by search engines more easily, and ease of creation. They do take a little more time in updating and may have problems with broken links on occasion. Dynamic web pages are pages that are generated by ASP.NET and PHP. They use a database to generate current or live information. These types of pages offer users a personalized and customized experience through selected displays and features. From the maintenance perspective, dynamic pages can be updated more easily but take more time to build and, subsequently, cost more because of the level of experience needed to program them correctly. 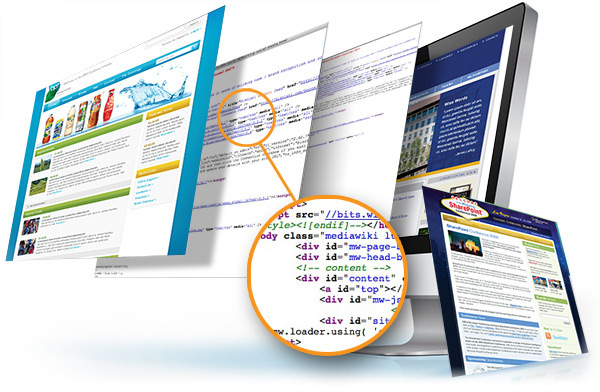 Onit Interactive has developments that know and understand when static and dynamic pages should be used. The information available to your company from our website developments will be invaluable to the success of your business. Building your website is a dynamic process and requires a relationship with experts who know your company and your customers. Turn to the programming experts at Onit Interactive for creative solutions and proven results.